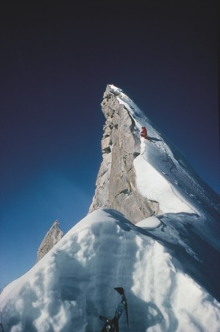 Chris, the mountaineer, writer, photographer and lecturer, started climbing at the age of 16 in 1951. It has been his passion ever since. He made the first British ascent of the North Wall of the Eiger and led the expedition that made the first ascent of The South Face of Annapurna, the biggest and most difficult climb in the Himalaya at the time. He went on to lead the successful expedition making the first ascent of the South West Face of Everest in 1975 and then reached the summit of Everest himself in 1985 with a Norwegian expedition. He is still active in the mountains climbing with the same enthusiasm as he had at the beginning. He has written 17 books, fronted numerous television programmes and has lectured to the public and corporate audiences all over the world. 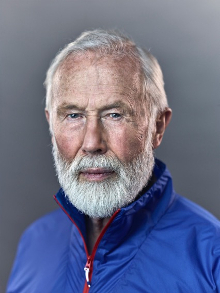 He received a knighthood in 1996 for services to mountaineering, was president of the Council for National Parks for 8 years and is currently Non-Executive Chairman of Berghaus.